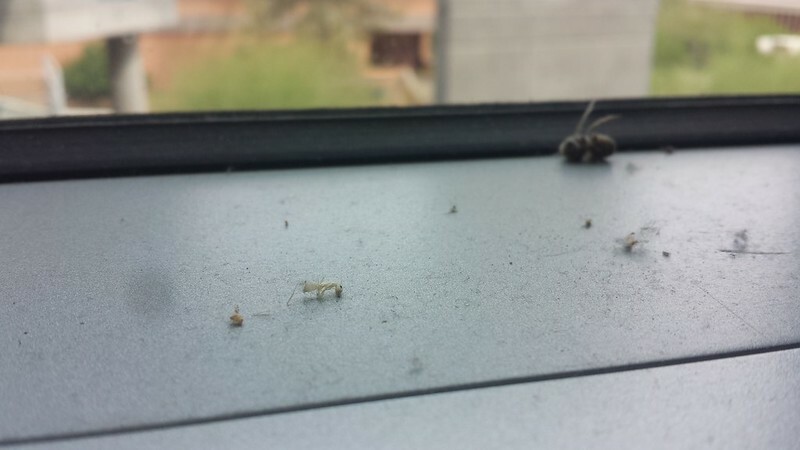 The other day, while sitting in my LurkSpace in the lab, I glanced down and over at the windowsill, and observed that it is an accumulation point for peoples' study organisms, a tiny insect graveyard. That's a dead honey bee and dead Camponotus festinatus ant. There were also a whole bunch of dead Drosophila (fruit flies), of course. Temperatures here are currently up to the 90's in the middle of the day, but it's still cool at night, thankfully. The timing of spring blooms out here is interesting. Typically, if there were rains in the fall, wildflowers bloom first. Since there wasn't any rain last fall (literally), the only wildflowers that are blooming this year are ones that people have planted and are watering in their gardens. 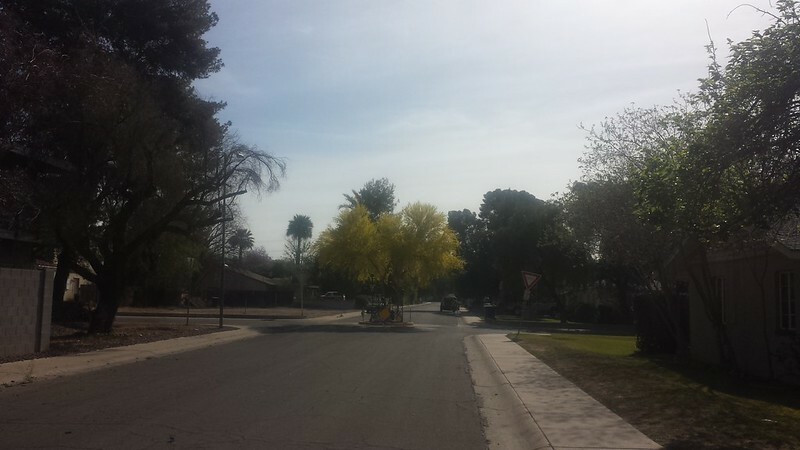 Palo verde trees shed the last year's leaves towards the end of February, and grow new leaves and flower buds in March. When I was taking care of the leafcutter colonies, it was always hard to find vegetation to give to the colonies during this spell. But then, when the trees flower, I would give flowerbuds to the colonies, which the ants love. I have this idea that colony growth in desert leafcutter ants is strongly linked to the growth cycle of palo verde trees: the flower blossoms should provide good nutrition for the fungus garden, allowing colonies to expand and produce reproductives in the spring. 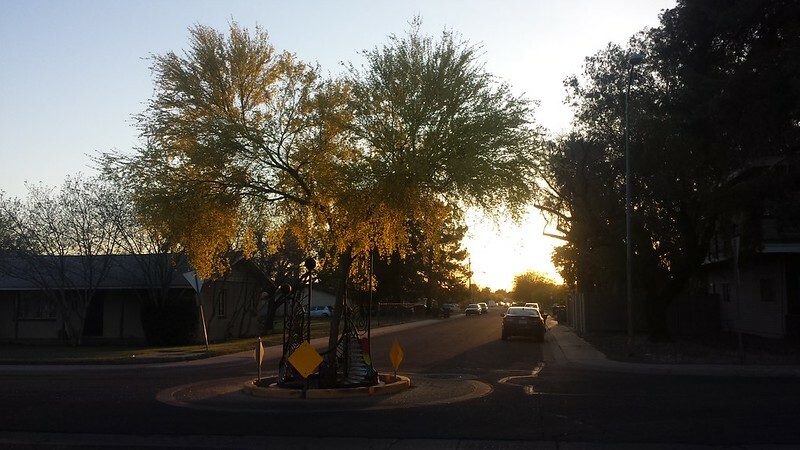 Mating flights are timed in the summer to coincide with the conditions that promote seed germination for palo verde trees, which means that young queens will have easy access to resources to start their new fungus gardens. Testing this idea would be a ton of work, so it will remain an idea. Palo verde blooms die out towards the end of April, as it starts to really get hot, and it is at that point that the cacti start to bloom. I am very curious to know what the landscape looks like this year at my old field site, out along the Salt River. I suspect it looks very dry and dead. This entry was originally posted at https://rebeccmeister.dreamwidth.org/1219319.html. Please comment there using OpenID.